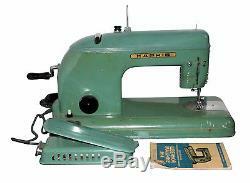 Sewing Machine (1957), all metal casing and complete with color matched pedal and original manual. 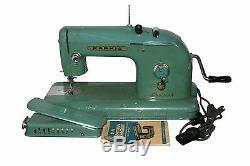 This is a really rare find in terrific condition given the mid-century age. Motor runs strong, and all knob and switches work well. 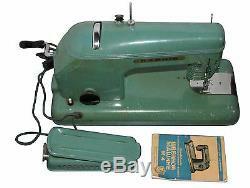 Comes with power cord and foot control. All units are working fine. Please see pictures for condition. Total weight: 12.5 kilos approx. 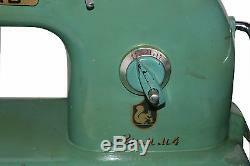 The item "Rare Sewing Machine Kharkov M-4 (Soviet Russian clone of a German Zündapp)" is in sale since Sunday, December 3, 2017. 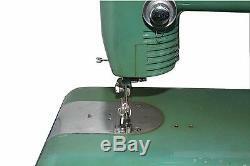 This item is in the category "Crafts\Sewing\Sewing Machines & Sergers". 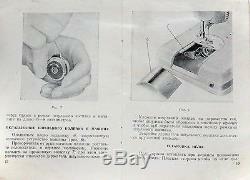 The seller is "anatoliyom" and is located in Brooklyn, New York. This item can be shipped worldwide.